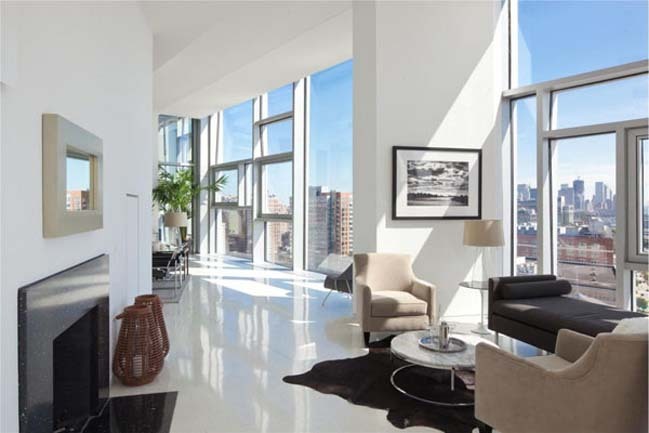 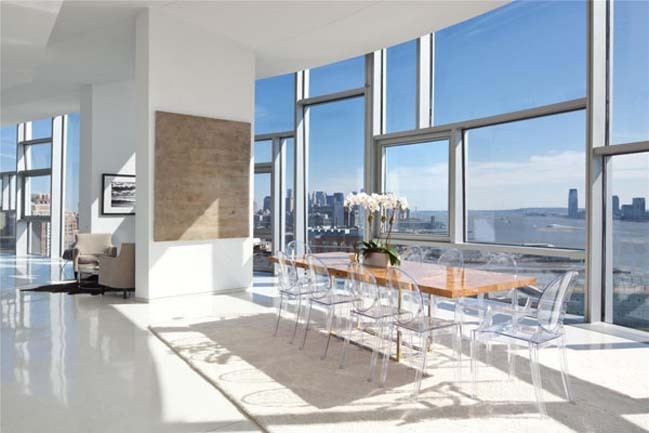 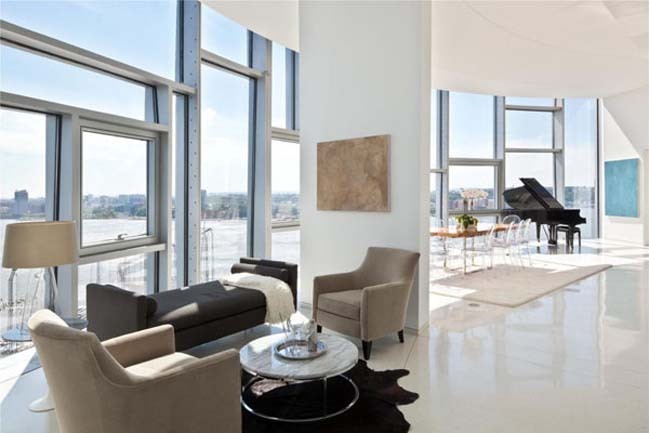 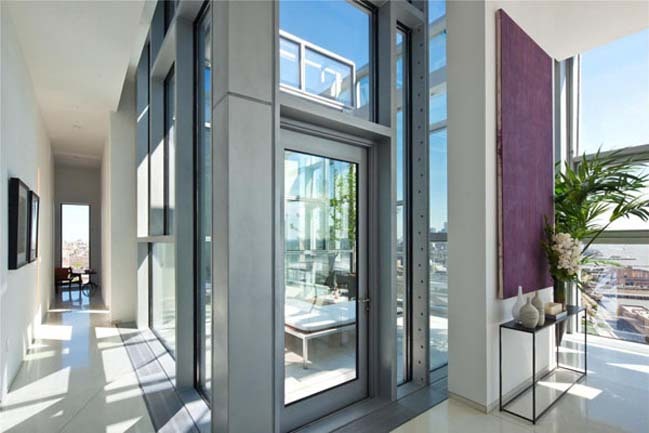 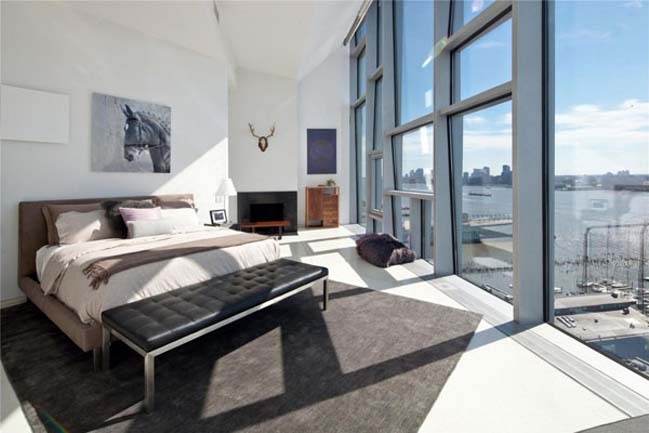 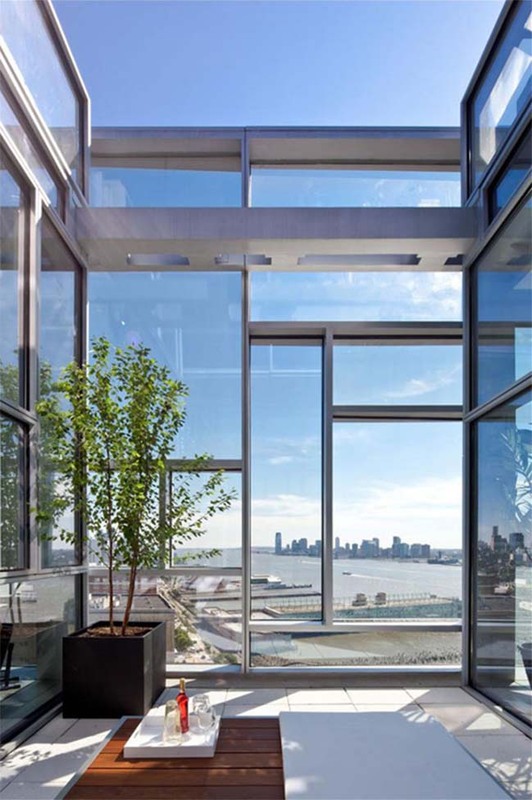 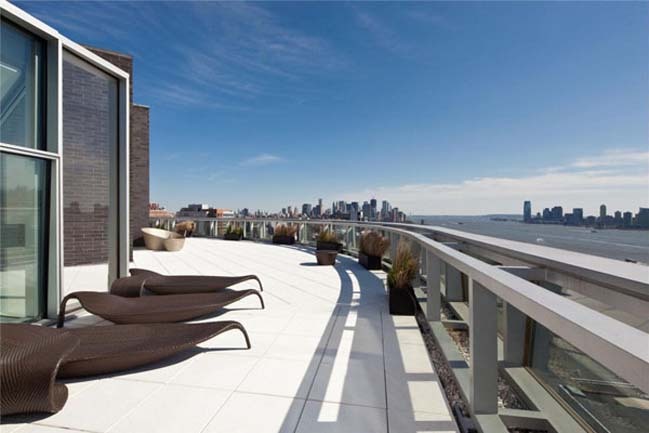 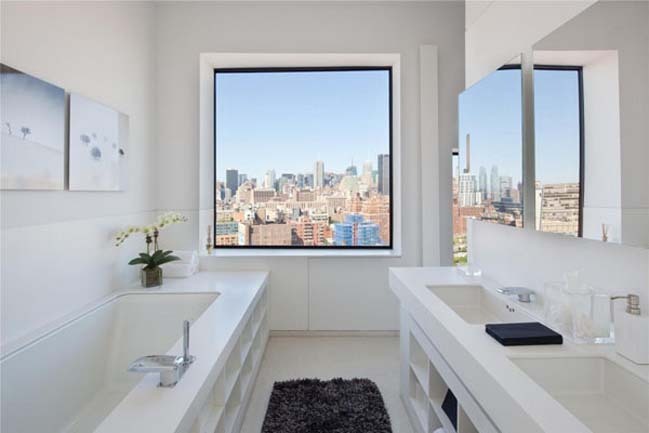 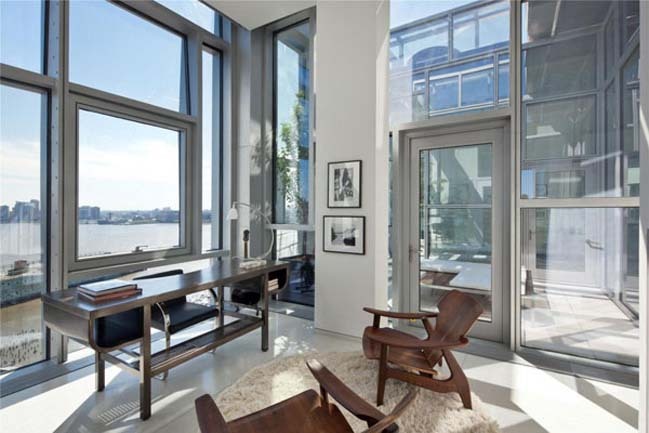 With the special design of the heterogeneous rectangular frame windows and higher ceilings 4meter is a great combination to have a 360o view of Manhattan, New York. 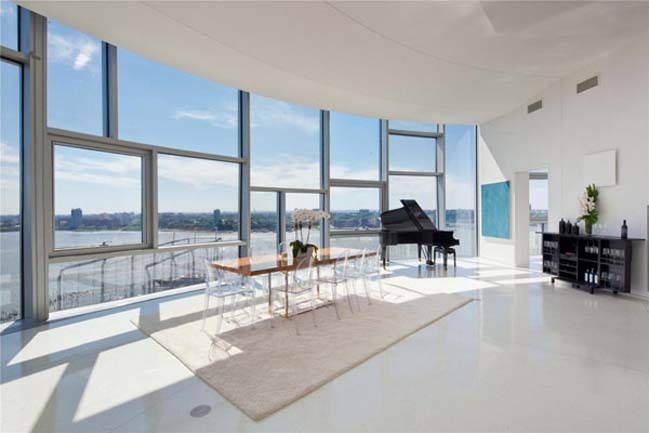 Walls, floors and ceilings are covered with a white to pale gray coordinate of the window frame. 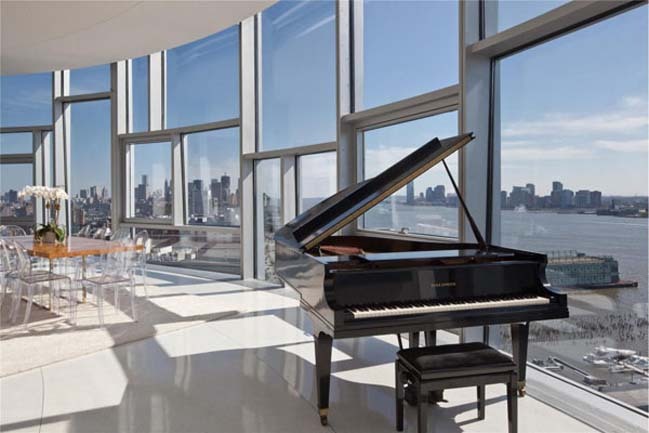 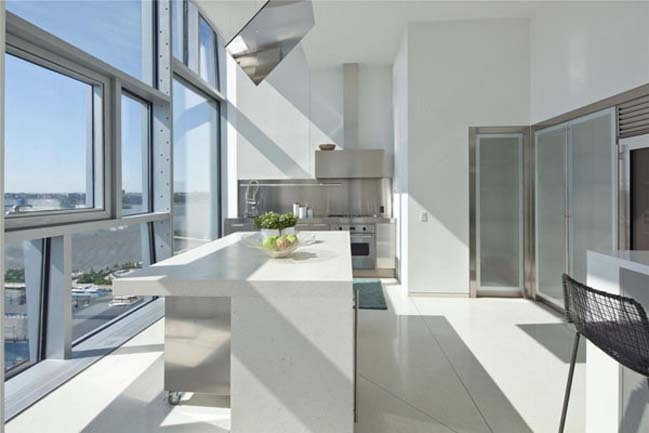 The penthouse can be seen as the convergence of "luxury and high-end", and to own this beautiful home luxuries you need to have $ 22 million.